Grants Butchers is an incorporated company based at Eastwoods Farm, Prudhoe, Northumberland specialising in wholesaling and home deliveries of high quality raw meat products. The business managed and owned by Robert Grant established itself back in 2008 when Robert bought an existing business and premises in Ponteland, A.C.Snaith’s Butchers. Previous to the purchase of Snaith’s Butchers Robert spent 4 years there learning his craft with two very well established traditional butchers. Snaith’s Butchers was a very well supported business with plenty of regular customers and carried on that way when Robert took over. Snaith’s closed in June 2010 after 180 years trading due to an offer being made for the free hold of the building. It wasn’t long before Robert set off again this time using his own name Grants Butchers at Crescent Farm in Throckley. The premises at Crescent Farm was a stepping stone until the company found a permanent home. 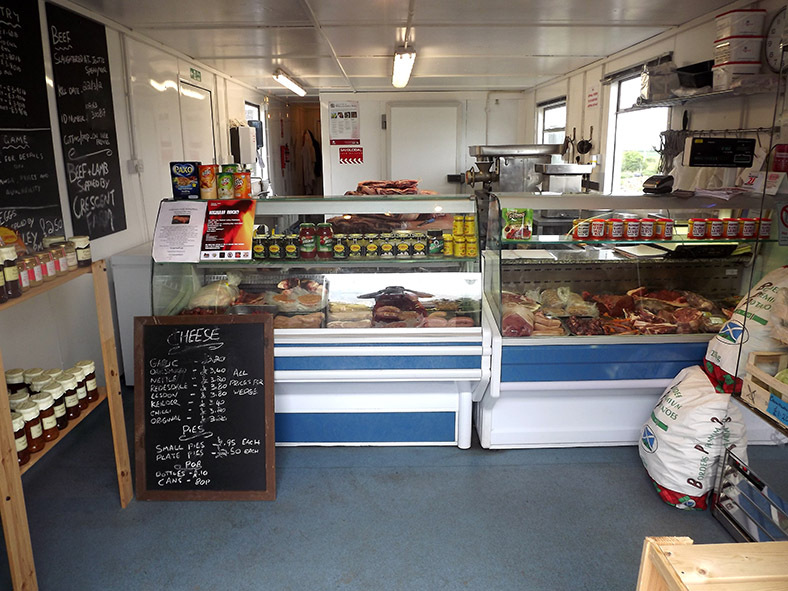 Grants butchers remained there for two years continuing to build a relationship with old and new customers as well as expanding on the wholesale side. It was after the two years we applied for planning permission for the site we are at now, Eastwoods Farm. It was at this point Grants Butchers branched out into the catering industry specialising in hog roasts with showman catering vehicles as well selling their own produce at many events and shows. Grants Butchers pride themselves on high quality at a competitive price and are fast getting a name for themselves. They travel up and down the country not only for the catering part of the business but to sell different flavour sausages at big agricultural shows. 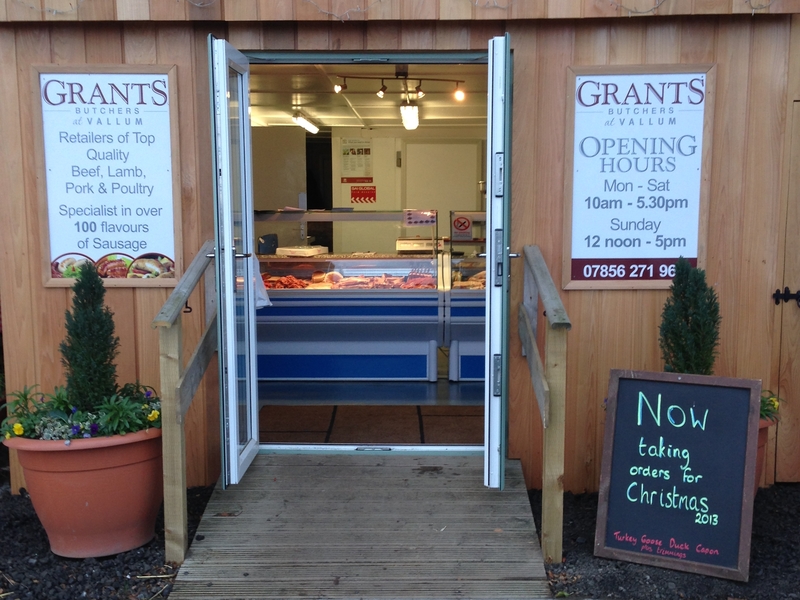 Grants Butchers specialise in over 100 different flavours, which have been a major part of the business. Grants Butchers is a cutting and preparation plant at Eastwoods Farm, delivering out and doing shows and events as there is no retail facilities due to a restriction by the planning authority that no general public is allowed on site. Please feel free to contact Grants Butchers direct to see about making an order for delivery.